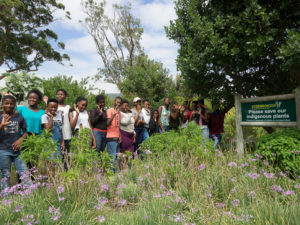 Suzie Thomopoulos and Di Stromberg hosted a walkabout in Steenbok Nature Reserve with Ally Scott-Healey from Active Hearts and the grade 7’s from Tembelitsha Primary School. The children enjoyed a morning learning about the flora and fauna found in the Reserve. They were also thrilled to be treated to a rare sighting of the Knysna dwarf chameleon. 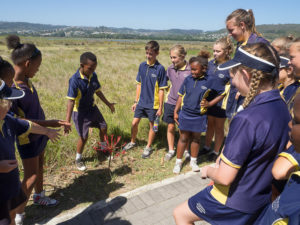 Knysna Primary School Eco-Club enjoyed an educational walk about. The kids were especially interested in the growth of the Brunsvigia orientalis.